Aardvark Pest Control Services is excited to announce our new mosquito control program. Mosquitoes can seriously ruin your enjoyment of your backyard with their buzzing and biting. They can keep you inside on a beautiful night. 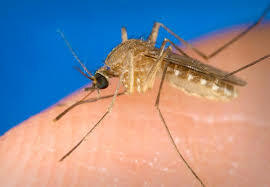 Several of the mosquitoes most common to our area are container breeders. It doesn’t take much water for them to breed. For example, some of these breeding sites include: bird baths, knots in trees, inoperable swimming pools, upside down trash can lids and old tires. Our service begins with an inspection to identify visible areas of standing water in your yard that might give mosquitoes an opportunity to breed. Once identified, we’ll make suggestions to help eliminate these areas that promote mosquito breeding and we’ll treat those areas that can’t be easily dried out with a product that will kill mosquitoes in their larval stage. This will stop the mosquito’s ability to reach people-biting adulthood. Next, we’ll apply insecticide to control adult mosquitoes. Typically areas treated include shrubs and ground cover. These applications are most effective when made on a 21-day cycle. We recommend these treatments be made between May 1 and September 30. This service is available as an ad-on to your comprehensive annual pest control program (CAP), or as a stand-alone service. Either way, while we can’t eliminate every mosquito, we can enhance your enjoyment of your outside time by greatly reducing the number of pesky mosquitoes in your yard. Take back your backyard. Contact the mosquito experts at Aardvark Pest Control Services at info@getaardvark.com or call us at 610-494-4474.